The only place to take your Range Rover for the repair you need in Abilene, TX is to Procter Automotive. This team of experts is the leading Range Rover shop in the area and has built a reputation for quality and experience working on a variety of European models. Procter has been caring for a variety of brands in the Abilene area for nearly seventy years and can provide you with the Range Rover service you need to make sure you’ll continue to bring your vehicle to them. What makes this the best Range Rover shop in the area? Not only can the team at Procter Automotive provide you with the Range Rover service and maintenance you want, but you’ll love the friendly atmosphere, the caring staff and the knowledgeable experts that work on your vehicle. This team will make sure the Range Rover service you need is completed to perfection. If you ever need a Range Rover repair in the Abilene, TX area you’ll be glad you have the team at Procter by your side. Whether it’s a worn out part or a collision repair, this is your team. There are specific steps and requirements that must be met when performing Range Rover service. This means you need the right team so your Range Rover will continue to perform perfectly and not need a repair in the near future. 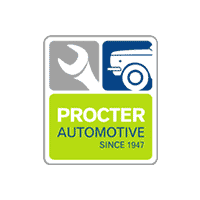 From brake repair, check engine light, oil change and even transmission repair, Procter Automotive is available to help. The only team in Abilene, TX that can handle the work you need, is the best Range Rover shop in the area; Procter Automotive. Bring your vehicle in for the service you need done and let them help you have the right service and care for your Ranger Rover so that you can continue to enjoy your favorite ride.